The Federal Open Market Committee (FOMC) minutes were released today from the meeting that ended on December 18. While detailed, not a lot of it was exciting. The biggest point of contention seemed to be around the outlook for inflation: Is below 2% inflation temporary, or not? That will be hashed out at subsequent meetings, but it was pleasant to see consensus about the reduction in the pace of asset purchases. The Committee weighed the marginal costs and benefits, and the ledger seems to favor a gradual diminution in asset purchases. There is disagreement about how the Fed can best enhance its forward guidance—that is, to signal to the public how it wants to proceed in terms of eventually increasing the federal funds rate. The asset purchases were one way to augment the Fed’s commitment to keep rates low. Setting an unemployment rate threshold and inflation threshold were other ways to enhance guidance. The move at the December 18 meeting to state that members expect a zero-rate target well after the economy reaches the 6.5% unemployment rate threshold was another step in the evolution of forward guidance. While the minutes may have been boring, they signal two important shifts for the Fed. One is about emphasizing inflation targeting over employment targeting. The other is in getting people comfortable with the Fed’s plan to target not only the federal funds rate but the overnight repurchase rate. These are two ways that the Fed could make monetary policy more effective, even as it gradually winds down its asset purchase program. What is the Pip Cost for Gold and Silver? The pip cost for 1 ounce of Gold (minimum trade size) is $0.01 per pip. The Federal Reserve may briefly allow the US unemployment rate to fall below what is considered sustainable in the long run in order for inflation to rise to the central bank's target, New York Federal Reserve bank president William Dudley said on Monday. "We need the economy to run a little hot for at least some period of time to push inflation back up to our objective," Dudley said at a conference organized by Bloomberg News. "I can certainly imagine a scenario where the unemployment rate dips a little bit below what we view as sustainable. That would be the mechanism to actually push inflation back up." He also said the steady rise in the dollar's value could complicate the Fed's job, potentially hurting US economic performance and pushing down inflation. Though the value of the dollar is not a policy goal of the Fed's, Dudley said it had to be taken "on board" as part of the central bank's economic forecast. The dollar softened on Monday as other major currencies recovered some ground after 10 weeks of gains by the dollar index, its longest winning streak since the greenback's free float in 1973. Even as the Fed prepares for its first interest rate increase in six years, Dudley's remarks reinforced the view that the central bank intends to keep policy accommodative until it is sure US labor markets have fully recovered. That first rate hike is expected next year, a policy change Dudley said he hopes can take place in order to being lifting rates from the zero level where they have remained for six years. But the Fed's economic projections forsee a slow evolution from there, with rates only approaching a normal level in 2017. Some individual members' projections also see the unemployment rate falling below the level considered consistent with stable prices. Dudley said a long list of forces has kept inflation tame, while there remains ample evidence of "excessive slack" in the US, and concern that workers sidelined by the financial crisis may lose the chance of ever returning to work unless the Fed keeps policy loose. "Inflation is quiescent for a very simple reason. We have excess slack in the economy," he said. "We are below the two-percent inflation target so that argues for more patience." People choose to trade forex for different reasons. Some are new traders getting started in the markets whilst others are full time workers trading in the evening or part-time workers looking for ways to supplement their income. Identify your needs and decide whether being a trader is just a hobby or if you’re looking to turn it into a full time job. You can then devise the appropriate strategies to work towards that goal. Like every profession, mastering the basics and foundations is imperative before one can excel. Before you start trading, read as widely as possible on all things forex – and make sure they are from reputable sources. Familiarise yourself with the way the forex market works and establish realistic trading strategies based on your personal goals. Find out how you can trade stocks like the pros without major time commitments! There is no one-size-fits-all approach to trading plans. However, good trading plans are usually formulated based on considered research, market observations and sound logic. Don’t let emotions or speculations drive your decisions as this can often lead to mistakes and bad trading. 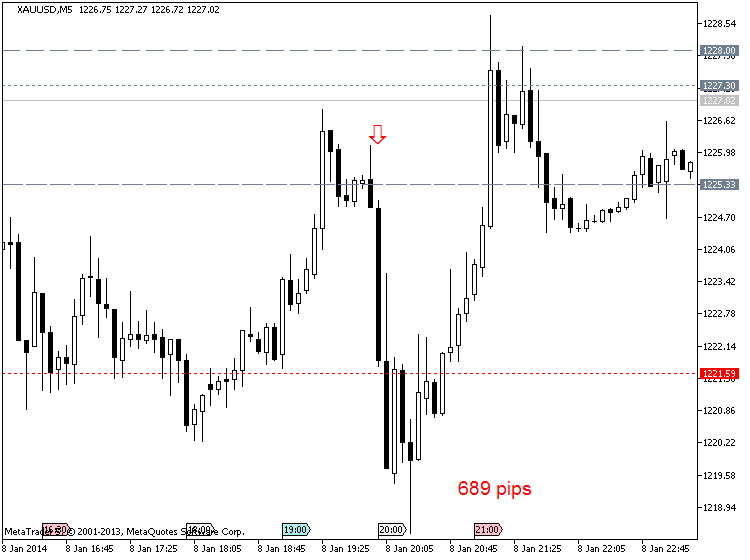 Plan your trade, both entry and exit, before placing it into MT4. Avoid second guessing yourself or deviating from your plan. It’s important to find a trading broker you feel comfortable with and one that offers a trading platform that is appropriate for your style of trading. Review a wide variety of brokers, trial demo trading on different platforms and compare offerings. If you’re new to trading, look for online trading platforms who make trading very simple, giving access to trading tools, analytics resources, education and 24-hour support. It’s wise to start with a demo account so that you can practise trading with virtual money, at no risk. By placing some practice trades in a disciplined manner you’ll start to get a good feel for what it is all about. However, don’t do it for too long as you will not learn any money management skills from a demo account. Once you’re ready to start a live account, trade only in small amounts. A successful trader will always observe their successes and failures. Keep a daily record of your trading activity and analyse it regularly to see what works and what doesn’t. It may also help for you to talk through your trades with a friend or colleague. They don’t need to be a trader either. Verbalising your decision process alone allows you to pick up on those moments when you are acting irrationally or emotionally. When it comes to forex trading, risk management is key. ALWAYS have stop losses in place to protect capital. A stop loss essentially limits the risk that a trader is exposed to for each trade. Never add to a losing position unless it is a pre-planned structured trade with different entry points. It’s equally important to have an exit strategy in place. Designed to help you get out of both winning and losing positions, this should be considered before entering any trade and included in your trading plan. Remember, the trend is your friend, so pay attention to the markets. Spend some time analysing the markets over the weekend and note down any patterns, trends or news that could affect your trade. These observations can help you plan your upcoming trade week ahead. Remember that trading is like building a wall – one brick at a time. Those who think they will get rich quickly are generally not around for too long before their account blows up. Successful trading takes time and it’s rare to see immediate results. Losses aren’t ideal, but they can happen. Avoid blaming the market and admit your mistake. Instead of wallowing in your losses, remain calm and focus on reassessing your strategy. Ask yourself if you are trading the correct currency pair, chart time frame or time zone. Then address your risk management. Perhaps your goals aren’t realistic or your position size is too large. It&rsquo;s Fed day, and markets traded flat ahead of this afternoon&rsquo;s announcement. While most economists don&rsquo;t expect the Fed to make any interest rate moves today, futures markets are pricing in increases later this year, and investors await the Fed&rsquo;s economic projections and policy statement Wednesday afternoon to get a better sense of how things might play out. Now that Spyder Trust has surpassed $202 level with a Monday high of $203.04 investors seem to have lost much of their investing fear that they had in January. Still the severity of drop will likely keep many out of stock market until much later in year.The major swing in sentiment from a month ago along with recent narrowing of price ranges means it is not a time to be complacent. In "Three Sentiment Indicators Investors Should Follow" I suggested that there were three measures of investor sentiment that should be followed for signs that investors may have become complacent.One was the Rydex Cash Flow Ratio which has dropped from a peak of 1.38 on February 1st to a current reading of 1.05 which was a decline of 24%. Rydex Inverse S&P 500 2x Strategy Fund (RSTPX) has dropped over 18% from its February 11th high. The bullish% of individual investors according to AAII has risen from a January low of 17.9% to 37.4% last week. We get a new reading on Thursday and it could move to the 43%-45% area. The CNN's Fear & Greed Index has risen from a reading of 21 (Fear) to 73 which is now in Greed territory.Though the A/D lines have continued to make new highs the NYSE McClellan oscillator peaked at +328 on March 1st but has been diverging from prices since then as it is now at +55. Additionally the NYSE Composite, June S&P futures and iShares Russell 2000 (IWM) formed dojis on Monday so a close below Monday's lows will be a sign of weakness.These factors heading into the widely watched FOMC announcement and press conference are likely to cause an increase in volatility. Recently the initial reaction to the FOMC language has been reversed following day as rallies on the announcement have been met with selling the next day. In last week's "Bear Market Rally or More? I suggested that those who had some nice profits from the rally should consider taking some of those profits.Spyder Trust (SPY) is now down just under 1% for year but there are a number of stocks that are doing considerably better. Four stocks that are outperforming the SPY are also on the IDB Top 50 list but can they continue to lead the SPY higher? SunEdison now blames delayed 10-k filing on IT and accounting control issue. Growth at a reasonable price, or GARP, is an investing strategy that blends value and growth investing. Instead of just buying a stock that&rsquo;s cheap, or one that&rsquo;s growing earnings fast, we look for stocks that appear decently priced with respect to year-over-year growth.